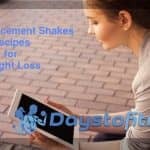 Shakeology is a meal replacement product that promises fast and healthy weight loss. Much more than just another meal replacement or protein shake, Shakeology contains a staggering 70 plus ingredients designed to keep you healthy while maximizing weight loss. While it’s impractical to list and discuss each and every ingredient in this article (for that, you’d need a book! ), this is a review of the most noteworthy and interesting ingredients provided by Shakeology. Protein blend – protein is filling, essential for muscle growth and repair and also boosts your metabolism for faster weight loss. Shakeology has several different sources of this essential nutrient. Shakeology contains whey protein isolate – a very high quality protein favored by athletes, quinoa, pea and brown rice protein which are all known for their ability to keep you feeling full and flax seed protein which is also high in fiber and healthy fats. All in all, Shakeology is a very good source of protein. Greens and phytonutrients – known for their detoxifying properties, greens and phytonutrients help keep your liver, kidneys and blood in tip-top shape. Removing toxins from your body, the result of air and food pollution as well as exposure to chemicals such as cosmetics, can only mean one thing – better health. Shakeology contains moringa, chlorella, spirulina, spinach, barley grass, kamut grass, wheat grass and oat grass. While it is not uncommon to have one or two of these things in your diet, it’s unlikely you’d ever be able to consume all these things together which means Shakeology is one of the most efficient ways to get your daily does of the healthful foods. Prebiotics, probiotics, and digestive enzymes – yacon root, lactobacillus sporogenes, amylase, cellulase, lactase, lipase, protease, bromelain and papain are all important ingredients for digestive health. Having a healthy digestive system can help reduce cravings, eliminate abdominal bloating, keep your digestive system regular and also enhance fat burning. Many people, because of an unhealthy diet and too much stress, have inefficient digestive systems but Shakeology can remedy this. Super-fruit and antioxidants – these ingredients help fight free radicals which are responsible for the aging process and for inflammation (reddening and swelling) throughout your body which is a major cause of disease. 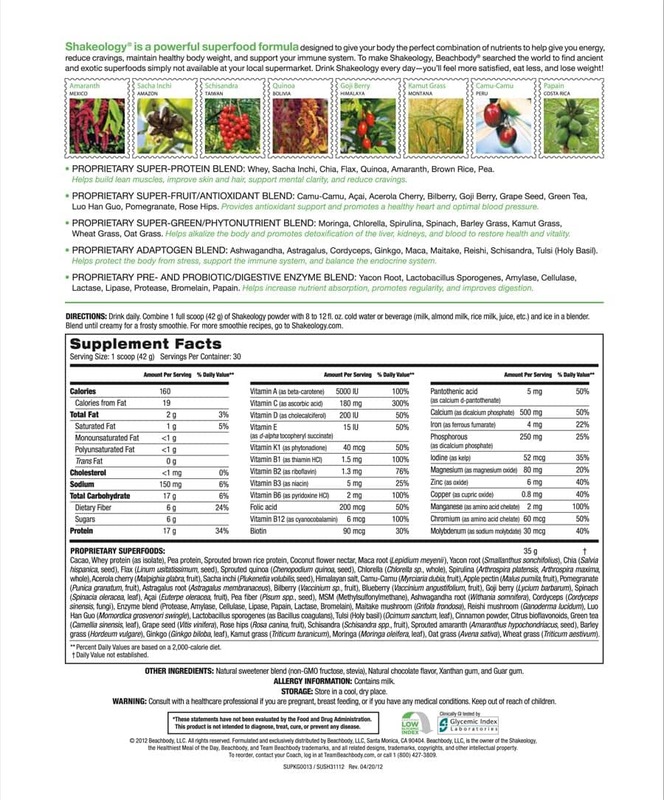 Super-fruits and antioxidants contained in Shakeology include camu-camu, acai, acerola cherry, bilberry, goji berry, grape seed, green tea, lun hao guo, pomegranate and rose hips. While you may have heard of and even used some of these exotic ingredients, it’s unlikely that you will have ever consumed them all at the same time! Shakeology is an excellent source of these fruits which have been specially selected to not only help you lose weight but keep you healthy. Vitamins and minerals – vitamins and minerals are vital for your health. In fact, a vitamin and/or mineral deficiency can lead to disease e.g. too little vitamin C can impair your immune system so you end up getting more colds and other illnesses. Shakeology contains a literal A to Z of vitamins and minerals to ensure you are getting everything you need to be healthy. And remember, the healthier you are, the more energy you’ll have and the more efficiently you will be able to burn fat. While you COULD get all of these nutrients from eating “real” food, it’d be a tough job and you’d have to eat a very broad selection of fruit, vegetables and whole grains at every meal and every single day. Shakeology makes it a whole lot easier to get all the vitamins and minerals you need to stay healthy. Adaptogens – ashwagandha, astragalus, cordyceps, ginkgo, maca, maitake, reishi, schisandra and tulsi (better known as holy basil), are all adaptogen herbs commonly used in Chinese and Indian medicine. They are renowned for their ability to support and boost your immune system and help reduce stress. Stress increases cortisol levels and cortisol, a hormone, can interfere with fat burning while braking down muscle which reduces your metabolic rate. Stress is also a leading cause of illness and disease. These adaptogen herbs are very beneficial in both maintaining health and optimizing fat burning. Natural sweeteners – to keep the calorie content low, Shakeology uses next to no sugar to provide its sweet taste but instead contains a blend of low and calorie-free sweeteners. Low and calorie-free sweeteners can often mean harmful chemicals such as saccharine and aspartame which are inextricably linked to allergic reactions and other medical concerns. However, Shakeology includes only natural sugar alternatives such as stevia which provides 300 times the sweetness of sugar with very few calories. Stevia is derived from a plant that is part of the sunflower family and has been used in South America for over 1,500 years. It presents none of the health worries associated with sweeteners like aspartame. Guar gum – this unusual-sounding substance is a good source of soluble fiber. As well as being a natural thickener, guar gum helps keep you feeling fuller for longer by delaying gastric emptying – that’s the time it takes food to be digested and then leave your stomach. Guar gum is calorie-free which means it helps make Shakeology more satisfying to drink. In fact, many people report that Shakeology makes them feel fuller than regular solid meals. Guar gum also helps promote normal bowel movements which helps keep your intestines healthy while preventing the buildup of unwanted, unhealthy bacteria which can be the cause of abdominal bloating and bowel irritation. Many people fail to consume enough fiber but as each serving contains 6 grams of fiber, this is not an issue for Shakeology users. While you might be able to get most of these ingredients from regular food, it would take a lot of planning, cooking and effort and, even then, you may still not do it. And if you were to supplement your way to consuming all these ingredients, you are looking at a very big bill! Shakeology will not only help you lose weight, it will also improve your health – something that many weight loss diets fail to do. 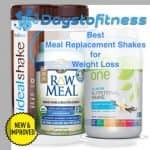 Looking for meal replacement shakes powder and don’t know where to start ? 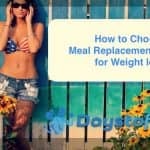 On our guides you’ll find all the information you need to start your meal replacement shake plan.